New article inspired by our experiences doing the Beyond Stigma research! The latest panic measure having a Westminster opposition back bencher promise a timetable for as yet undecided powers after the postal votes have closed was only trumped in terms of nonsense by having saltires flown over council buildings in England and has surely confirmed to any undecided Scots that Better Together has failed and the powers that be in London have decided to take over. Whats more the three posh boys have rushed north, not together we note, to speak to invited audiences only, in secure locations. Meantime bruiser Lord “Two Jags” Prescott steals Jimmy Murphy’s soap box and, after ranting against his Better Together colleagues the Tories, tells the crowd Scotland and England should have a joint football team to beat the Germans. Its hard to conceive a more ludicrous or flawed approach to trying to stem the “Yes” tide. Do they ( ie the Westminster elite ) really, honestly believe that the actions of today and yesterday had the capacity to influence Scotland in a positive manner. ? Of course all good circuses end with the clowns and on Friday we have Farage and his racist UKIP in Glasgow and then on Saturday musical entertainment on the streets of the capital courtesy of the Orange Order. More seriously the BBC and to a lessor extent Sky appear to be on a war like propaganda footing against “Yes” and backing “No” while big business and the bankers drip feed a frenzy of fear and doom and gloom if it’s a “Yes”. You can find some unbiased comment if you search hard enough, eg the Financial Times carried an informative article on the currency issue with four economists giving what seemed to me to be sensible arguments. However as everybody else is having their say, here’s mine. Scotland should vote yes to protect itself from the worst excesses of the increasingly right wing agenda that is manifesting in English politics. It could then pursue a more egalitarian and socially just society. It has the natural resources, industry, infrastructure, and crucially people to be a successful independent country. Of course initially there may be some short lived economic turbulence. However the short to medium term will see that pass and then the country prosper both economically and socially. And hey, maybe one day we will have that utopia… A Scottish socialist republic. It’s all become a bit of a farce – you couldn’t have sold a book about the way the storyline has panned out. The No side, clearly believing that Scots would reject outright the possibility of Independence, disabled the issue of a referendum on Devo-max as it came to be known, which in all likelihood is what the SNP were probably after too, on the basis of small steps would eventually get there to full Independence over a longer term, now the No side are now falling over themselves to offer various forms of it, that they wouldn’t let us vote for (which most would have gone for anyway). However, many have started to consider / realised that the Westminister model is remote, self-serving and most definitely out of touch – expenses scandals, inappropriate conduct swept under the carpet etc., etc, and so far, Government from Edinburgh has been mostly successful and not just a big County Council as many detractors thought/ hoped for? It’s also becoming more clear to folk that the people from Westminster who are telling us how bad it will be come independence are not being entirely accurate about things – for example, we in all probability won’t be part of the EU by 2020 if UKIP continues to drive Tory & Labour policy, The oil to run an independent Scotland will run out anytime next week or in 50yrs depending on which paper you read, but then it’ll run out for the UK too, so what are the alternatives then – oil revenue to the Treasury has pretty much funded the UK since the 70’s, and is probably the only thing allowing us to afford keep nuclear weapons – in my opinion spending money on these things where Official numbers say 1 in 5 kids live in poverty and a considerable number of people need to access ‘food banks’ is quite obscene, irrespective of my political viewpoint. In many respects the debate being had is a good thing – for many people it’s the first engagement in political thinking for generations – particularly in the West of Scotland where the tradition of voting for a particular party irrespective of policies or quality of the individual candidate is ‘the norm’. On Thursday August 21st a number of our research participants attended our latest focus group meeting in Parkhead Library in the East End of Glasgow. This was the first meeting since the Commonwealth Games and provided a good opportunity for us all to hear and share out experiences and views of the Games – and their impact on the East End and on Glasgow more widely. Together with the many research diary entries that we have received thus far, it is clear that the Glasgow Commonwealth Games have provoked very different experiences for individuals, for different groups of people and for different parts of Glasgow. For some of our research participants, the Games were a rare opportunity for Glasgow to be shown to a global audience in a new light – challenging some of the age-old and enduring legacies of the city as run down place of deprivation, disadvantage, despair and delinquency. Some of those attending the meeting and contributing to our Beyond Stigma research project through email and frequent diary entries had other views – notably that the East End and many of the people within it felt ‘excluded’ from the Games – and thought that it has ‘passed them by’. ‘It wasn’t for the likes of us’ was one comment. As might be expected, there were other views that while also sceptical about the longer term legacy of the Games, nonetheless felt that the event was generally positive and while short-lived – would have positive effects in the future. All agreed that within a few weeks since the end of the Games, perhaps it is too soon for anything concrete to emerge. Some concerns were raised that the Athletes’ Village will not be available for social housing for another two years while others commented that the East End was still facing some degree of disruption, with road closures and the like. We are delighted with the contributions made by our research members and look forward to seeing all their diaries in due course. Thanks to everyone who attended and to others unable to attend who have sent us some valuable contributions. Together with Kirsteen and Vikki, I’m looking forward to tonight’s focus group meeting in Parkhead Library. This is the first meeting we have had since the end of the CW Games a few weeks ago so we are all looking forward to hearing the thoughts and views of our participants as to how the Games went from their perspective – the good, the bad and maybe even the ugly!! This piece of writing outlines some themes from some of the initial findings within the Beyond Stigma project. The securitisation of the East End was at the forefront of a lot of East Enders minds in June and July. We are still capturing participants’ experiences now through the Games and and afterwards. 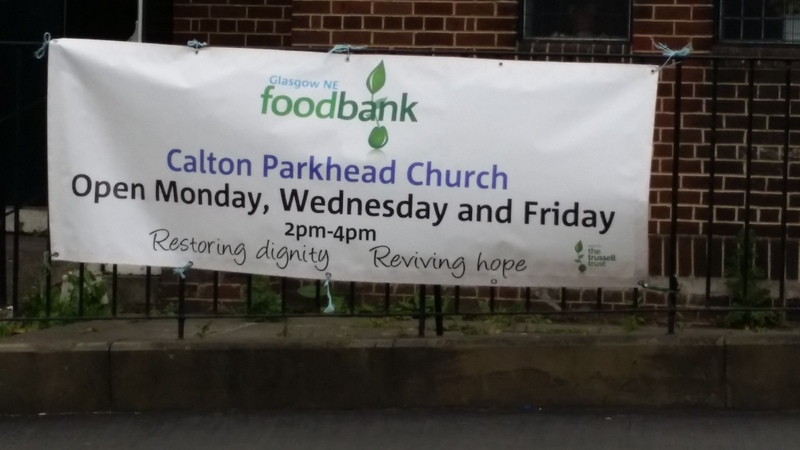 Thanks again for all the help and support of those who live and work in the East End of Glasgow. Well, agree or disagree? Please do add a comment or two below my wee piece. Anything else you think I should have added? The piece that appears is a much reduced erosion of what was submitted…..just as well you might say! Pass on to your family, colleagues and friends too! susanbatchelor on The Real Glasgow?